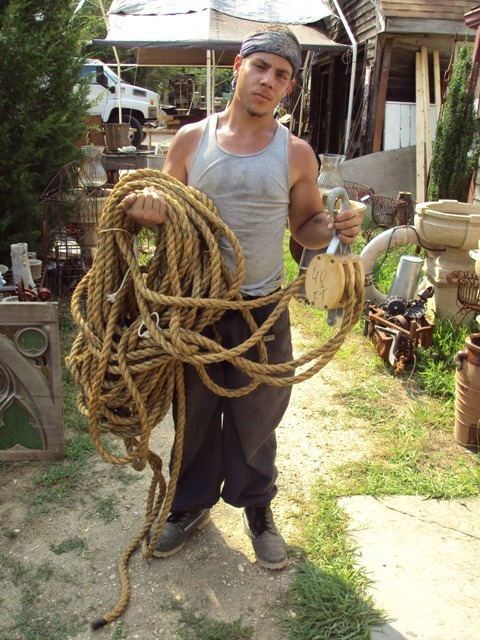 Modern block & tackle with 40' of jute rope. Good original condition. Cool prop for a bar or restaurant. Fully functioning.